Original Editors - Jaimin Shah from Bellarmine University's Pathophysiology of Complex Patient Problems project. Pancreatic cancer is a malignant disease of the pancreas. “Pancreatic adenocarcinoma is a highly lethal disease, which is usually diagnosed in an advanced state.” The malignant tumor can be located near the head, body, or the tail of the pancreas. 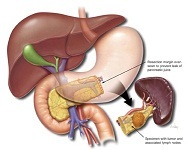 The pancreas is an organ that helps secrete insulin and glucagon which helps control blood glucose levels in the body. Pancreatic cancer is the fourth common cancer among men and the fifth leading cause of cancer in women. There are two types of pancreatic cancers which are exocrine cancer and endocrine cancer. “Pancreatic ductal adenocarcinoma (PDAC) compromises 90 % of pancreatic cancers.” Exocrine pancreatic cancers are the most common of pancreatic cancers. 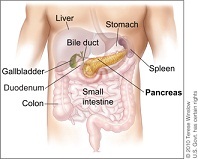 Exocrine pancreatic cancer is involved in the ducts of the pancreas that secrete juices. “Pancreatic cancer is the fourth most common cause of cancer death for men and women in US” ; about 32,000 people die each year. Pancreatic cancer has the lowest 5-year survival rate (3 to 5 %). Pancreatic cancer is more common in black men and women than whites. “In the United States, the age-adjusted incidence of pancreatic cancer is higher in blacks (14.9 cases per 100,000) than in whites (11.1 cases per 100,000) and it is higher in men (12.8 cases per 100,000) than in women (10.0 cases per 100,000).” The peak incidence of pancreatic cancer occurs in the 7th and 8th decade. Jaundice occurs from compression of the biliary duct. “About 70% of PDACs occur in the head of the pancreas.” Therefore, patients are more likely to have this as symptomatic manifestation. Carbon antigen 19-9 is detected in serum and pancreatic juice. 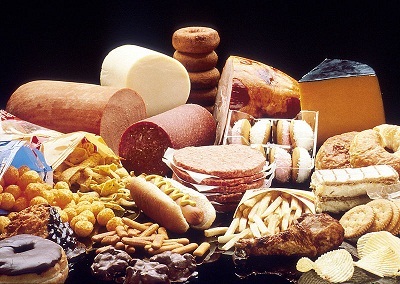 “Carbon antigen 19-9 has a reported sensitivity of 70-90%, a specificity of 90%, PPV of 69%, NPV of 90%.” Carbon antigen 19-9 is produced normal in the body by the pancreas. An elevation of this serum can be indicated for other pancreatic disorders. CA 19-9 is not a useful screening tool for pancreatic cancer in asymptomatic population. TNM staging system classifies pancreatic adenocarcinoma into tumor size, local invasion, regional lymph node metastases, and distant nonnodal metastatic disease. MRI is equal in comparison to CT scan for being sensitive in detecting pancreatic cancers. “With improved MRI with T1 and T2 imaging and with fast scanning techniques, tumor detection rate is reported up to 90%." The specific cause of pancreatic cancer is unknown. Some of the genes investigated in potential related causes include K-ras mutation, p16, p53, DPC4, hMLH1, and hMLH2. "The K-ras mutation has been found in over 90% of tested pancreatic adenocarcinomas." The genes p16, p53, and DPCA4 inactive tumor suppressor genes. hMLH1 and hMLH2 are defective DNA repair genes. Pancreatic cancers are often diagnosed in advanced stages where the cancer has metastasized to other areas. Pancreatic cancers can metastasize to regional lymph nodes, liver, lungs, duodenum, stomach, colon, and anywhere in the abdominal cavity. Pancreatic cancer can spread to the skin as painful nodules. Usual sites for metastases in pancreatic cancer occur in the liver and peritoneal cavity. Treatment of pancreatic cancer is based on the stage of the tumor. 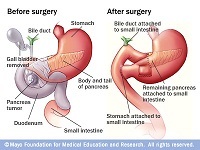 Kausch-Whipples (Pancreaticoduodenectomy) - This procedure involves the removal of the head of the pancreas, a portion of the small intestine, gallbladder, bile duct, and stomach. Biliary and duodenal obstruction- "Approximately 70-80% of these patients will present with obstructive jaundice and will require decompressionof the biliary tree." Two techniques that are used are endoscopic stenting and operative bypass. Neurolytic celiac plexus block (NCPB)- Nerve fibers are block to control pain symptoms. "A recent large randomised controlled trial showed that neurolytic celiac plexus block improved pain relief in unresectable pancreatic cancer patients when compared with systemic analgesic therapy alone." Chemotherapy- Involves the use of chemicals in destruction of cancerous cells. "Chemotherapy has been shown to be beneficial in pallative therapy trials." 5-Fluorouracil and Gemcitabine are commonly used agents in treatment of advanced pancreatic cancer. Physical therapy management involves helping the patient live a functional life while dealing with pain, fatigue, and weakness. The patient feels he/she is not able to do much because of the disease and its implications. "Disability in patients with advanced cancer often results from bed rest, deconditioning, and neurologic and musculosketal complications of cancer or cancer treatment. Terminally ill patients have a high prevelance of weakness, pain, fatigue, and dyspnea in addition to other symptoms." Improvement in functional ability is necessary for a patient with a diagnosis of cancer to enjoy a quality of life. "Clinical experience suggests that the application of the fundamental principles of rehabilitation medicine is likely to improve care." Physical training had a significant and beneficial effects on reducing fatigue. The physical therapy management will consist of controlling symptoms of pain, reducing fatigue, and strengtening weak muscles. Along with these 3 focal points, impairments should be addressed to improve functional abilities. "When patients are terminally ill, both symptom control and maintenance of function become central aspects of their treatment." Patients who have advanced cancer will have symptoms of pain, fatigue, generalized weakness, dyspnea, delirium, nausea, vomiting, depression, and anxiety. The physical therapist will need to address these symptoms in order for the patient to become independent and reduce the burden of caregivers. "Two-hundred thirty nine of 301 patients had difficulties with activities of daily living. A mean 27% improvement in the Barthel mobility index was recorded following rehabilitation." Pain is one of the most common symptom of cancer and its advancing state. 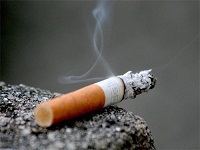 Severe pain in patients with cancer leads to impaired function. "Knowledge of the biology and natural history of the specific cancer types, including familiarity with common cancer pain syndromes and opioid pharmacology, are important in assessing and managing these patients." Physical therapy modalities can also be used for treatment of pain but with caution. "The use of physical modalities such as massage, heat, and cold can be implemented at bedside and aid in the pain management of patients." Heat can be utilized when performing ROM exercises in order to reduce the symptoms of pain. "Heat should not be applied to skin areas that are insensitive, have been exposed to radiation, or are atrophic or acutely inflamed." Cold therapy should not also be applied to these areas. Providing the patient with education on about the cancer and its implications can also be beneficial in physical therapy management. Energy conservation and work simplification can also assist patients in reducing and controlling symptoms. Patient education can also include the use of assistive devices if necessary. "Immune function may be improved by moderate exercise." Exercise should be implemented at low intensity levels. ↑ Dragovich T, Erickson RA,Larson CR. 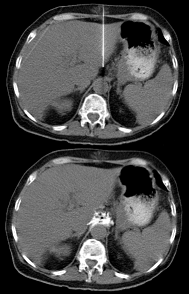 Pancreatic Cancer.emedicine on medscape.http://emedicine.medscape.com/article/280605-overview. Updated March 11, 2011. Accessed April 26, 2011. ↑ Harris BE. A case study on the use of athletic performance strategies in an elite athlete's management of pancreatic cancer. Boise State University Theses and Dissertations 2010.